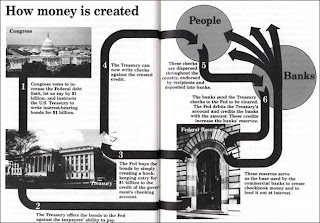 Very cool tutorial about the Fed, courtesy of my new friend, Jr. Deputy Accountant. I should really read TLP’s work-related emails more often (perhaps if he sent me less non work-related material I’d be better equipped to do so *ahem*), apparently this landed in my inbox weeks ago and I somehow missed it. Please allow me to remedy my tardiness now and I swear I won’t let it happen again. I respectfully correct Zero Hedge, who said this quality flick came from the same PR team who brought you Enron when in fact it was produced by Cleveland Fed and therefore had nothing to do with the Board’s PR team. Trust me, if the Board had been behind it, that drawing of Bernanke would have been far higher quality. And seriously, what’s up with misrepresenting the FOMC? I expected a tiny little shrunken head for Janet Yellen. You disappoint me, Cleveland.